Objective: Play for the highest possible score using the difficulty settings defined in the challenge. Post a photo or video of your score in this thread. Scores must be achieved between April 15th through April 30th, 2016. Screen captures are not allowed as they are easily manipulated for falsified scores. Multiple submissions are permitted. The player with the highest score at the end of the 2-week competition is the victor. Play Rules: Games may be played on real hardware, dedicated console, or emulation, using any controller or keyboard, following rules and game settings as delineated in the Squad Challenge. Enhancements and hacked versions of this game are not allowed. Autofire controllers and accessories are not allowed in this Squad Challenge. Difficulty Level: At the start up screen, move the controller handle to the left or right to chose the Advanced difficulty level, which is the middle of three difficulty options. See Instruction Manual provided below for details. Welcome to our 10th Squad Challenge! 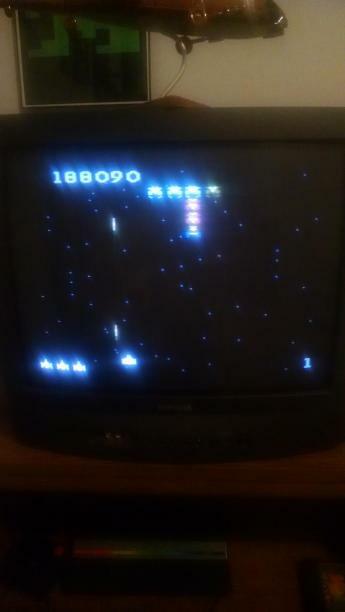 Galaga is one of the best classic Arcade games on the Atari 7800. 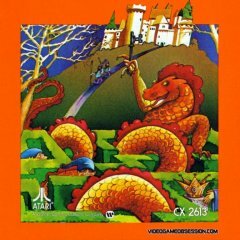 It was one of the launch titles developed by GCC initially released by Atari Inc. in 1984, and again by Atari Corp. in 1986. Classic Arcade titles are one of the things that makes the 7800 shine, and Galaga is one of the best!. I hope all of you have a good time, and remember this is for "nerd cred" and meant to be fun for all! 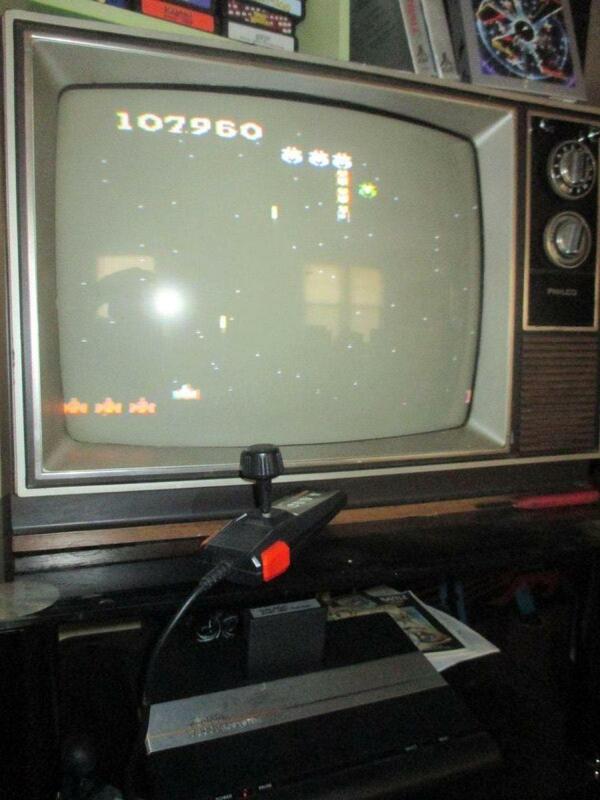 Like Atari Day, Squad Challenges are about the pure Atari gaming experience and something we should share among friends! I encourage you to share your strategies and experiences with all of us! You have until 11:59 pm PST April 30th, 2016 to complete this challenge and successfully submit your score. The ROM is readily available online, and the Instruction Book is provided for you below. GOOD LUCK, SQUAD! NOTE: In upcoming Squad Challenges this Spring and Summer we'll be playing video games from Atari Lynx, TurboGrafx-16, and ColecoVision, so make sure you have your systems set up or your emulators ready to go! Sincerely doubt I'll place anywhere near the top but I'm in! oh yeah, I'll be in on this one !!!! Play Rules: Games may be played on real hardware, dedicated console, or emulation, using any controller or keyboard, following rules and game settings as delineated in the Squad Challenge. Enhancements and hacked versions of this game are not allowed. Autofire is not allowed in this Squad Challenge. No Autofire means you cannot use an Autofire controller or accessory. I will clarify in the post. Ye Gods, man! That's a brilliant tip right there. 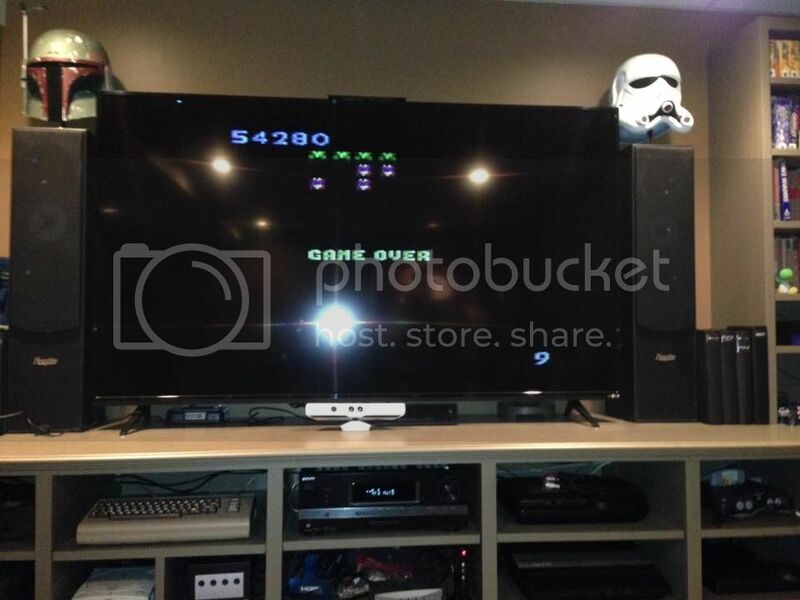 nice use of the high score cart! what the high score cart ? Well...this was a warm-up run. I'm going to try again later. I don't like Galaga compared to Galaxian but I like this Galaga. 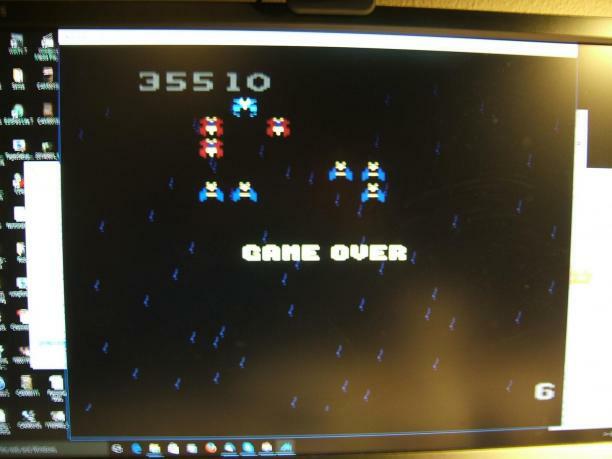 It's really fun and the only port of Galaga I know of on any Atari console or computer. 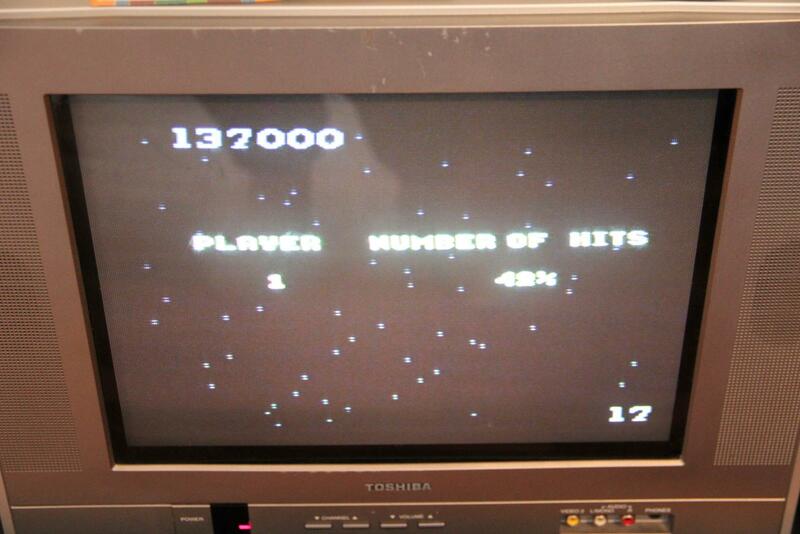 I believe the 7800 is the only Atari to get this arcade hit. I believe someone made the high score carts. I wonder if those are still available? Got this the same Christmas I got my 7800. Played it to death back then, solid arcade port as usual for this console. Had to find another cart, just had to play it on the real thing. 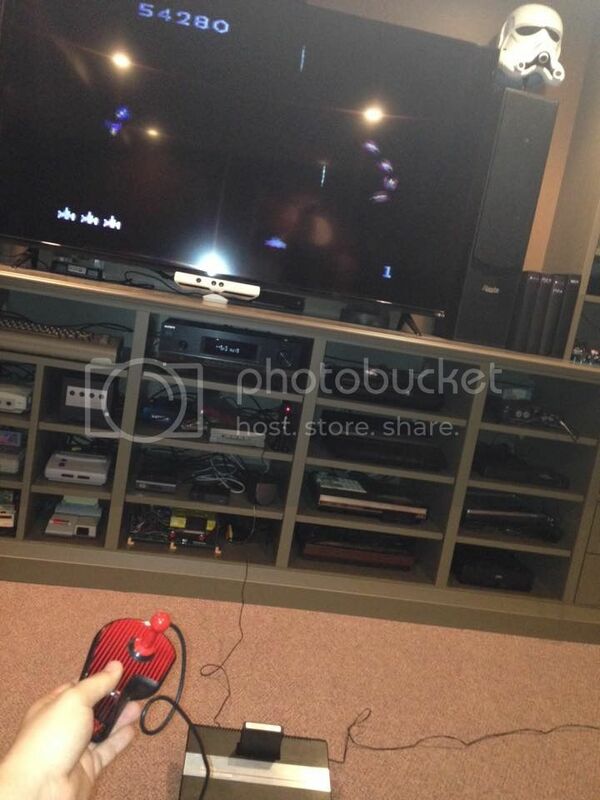 I'd be curious about the high score cart also. I do remember someone made them but I don't know that they are still available. I believe the first run of High Score Carts have long been sold out. Video 61 or Justin may be able to confirm this. I think Curt Vendel made some later ones, but I think all versions have been sold. I hear that a future Concerto cart might have HSC features. Long story short, there is no HSC on the market right now. Thanks for info, NSG. Too bad about the high score cart, it would be a nice to have. XM would have been even nicer . That stinks that Curt isn't feeling well - he's a huge contributor to all things Atari. That's all absolutely % correct nosweargamer. I suspect there may be a new version of the 7800 High Score Cart on it's way at some point in the future, if the demand is there and if costs can be kept down. 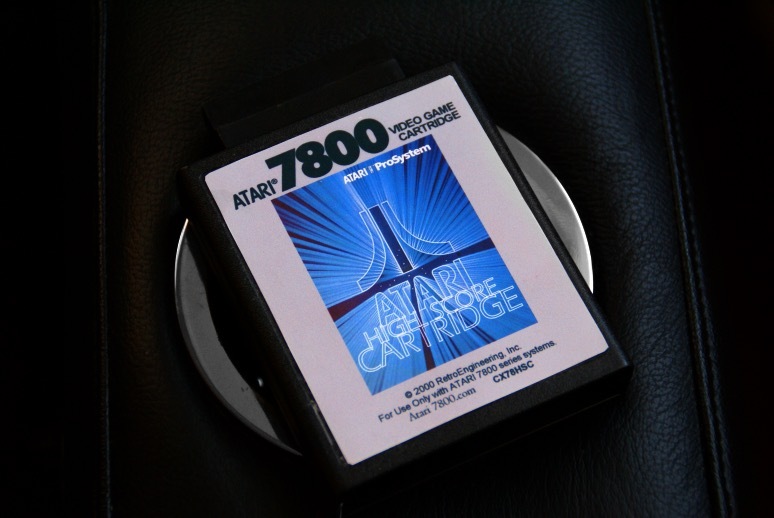 Both Video 61 and I were two of the original four vendors of the Atari 7800 High Score Cartridge back when Atari I/O was known as Atari7800.com. I sold out of my last High Score Cartridge sometime in 2001. We haven't sold anything on this site in more than 15 years, but we had a tremendous amount of fun back then. 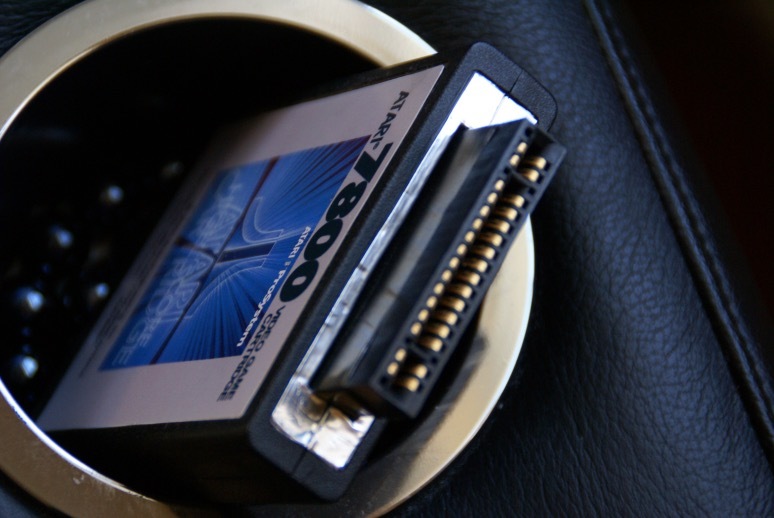 The pins at the top of the cartridge were exposed (where you'd connect the game you wanted to play, as you would on a Game Genie). 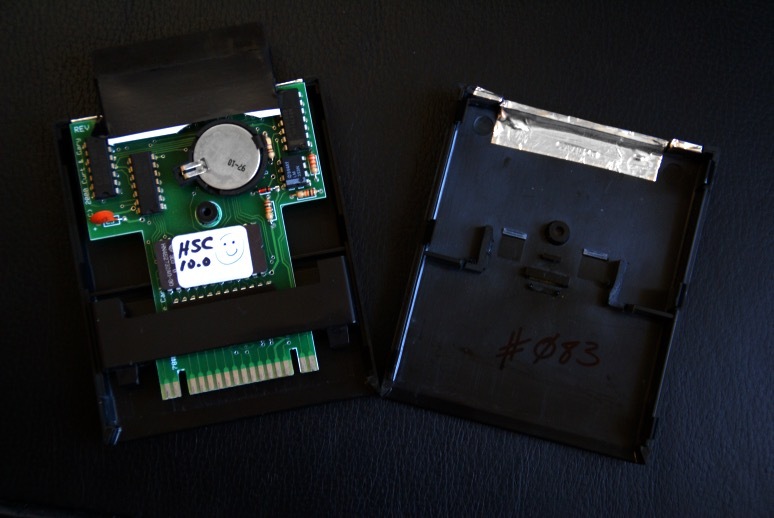 I enclosed these with a thin plastic housing that had been custom cut and neatly covered with one layer of electrical tape for a matte black finish that would match the cartridge. I thought this tidied things up nicely and made the HSC look like it could have come out of the Atari factory this way. I also made the cartridge stronger. 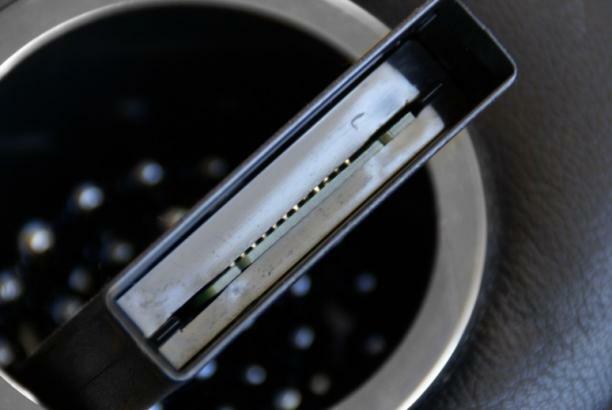 The first batch of HSCs came in repurposed 2600 cartridge shells, mostly from Combat. 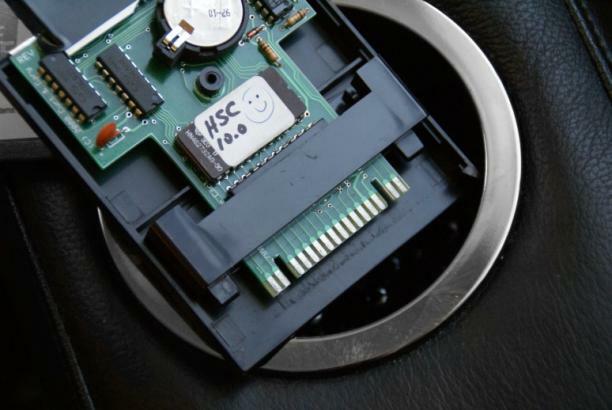 Because the HSC consisted of a 7800-style PCB placed inside of an early 2600 cartridge shell, the 2600 cartridge dust protector had been removed as it would have been in the way. With the dust protector gone, the end of the cartridge was left wide open and it became like looking up a girl's skirt. This made the cartridge feel a bit flimsy as the structural integrity of the dust cover moving up into the cartridge shell as originally intended was now gone. This also left the entire PCB exposed from the bottom up and not as securely held in place as it could be. I remedied this by modifying a 2600 dust cover using an X-Acto knife to widen the slot for the connector pins to fit the 7800 PCB. I sanded one side of the dust cover and used glue for model airplanes to permanently secure it to the inside of the cartridge, leaving the dust cover in it's "open" position to mimic the look and structure of normal 7800 cartridge shells. This noticeably strengthened the rigidity of the cartridge, held the PCB securely in place as it should be, and gave a nice factory finished look and feel to the cart. The 1st generation HSC cart labels appeared to have been done on an early bubble jet printer and had a generic look to them. I created a new label (pictured below) using the standard 7800 cartridge design and some classic Atari artwork from an Atari folder I had, which I thought looked spectacular. I had labels professionally printed with nice results. This new design was mimicked when the HSC was rereleased for another run a few years later. I also carried this design over to new box art, and a color instruction manual which was in the works. I did this to about one dozen or so 7800 High Score Cartridges that shipped in November, 2000. I made these updates with the best of intentions and meant no harm in doing so, but I was young at the time and made these improvements without thinking that I would need to seek permission to alter something that I already owned. I was politely asked to no longer perform these improvements as they wanted all High Score Cartridges to be uniform in look and feel, and of course complied with that request. Let me just say I'd happily add my name to the pre-order list for a new high score cart! 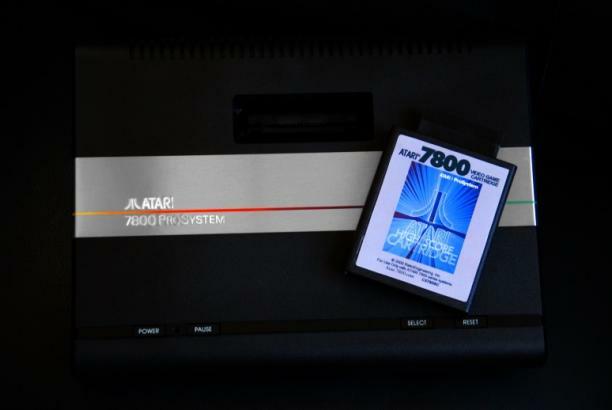 I'm pretty sure I saw something about it on the box for my 7800, and was disappointed at never seeing it on store shelves. It's a fun game. But every time I get my ship captured, I either shoot my own ship or lose it after just a few moments of double fire. Because I stink at this game! 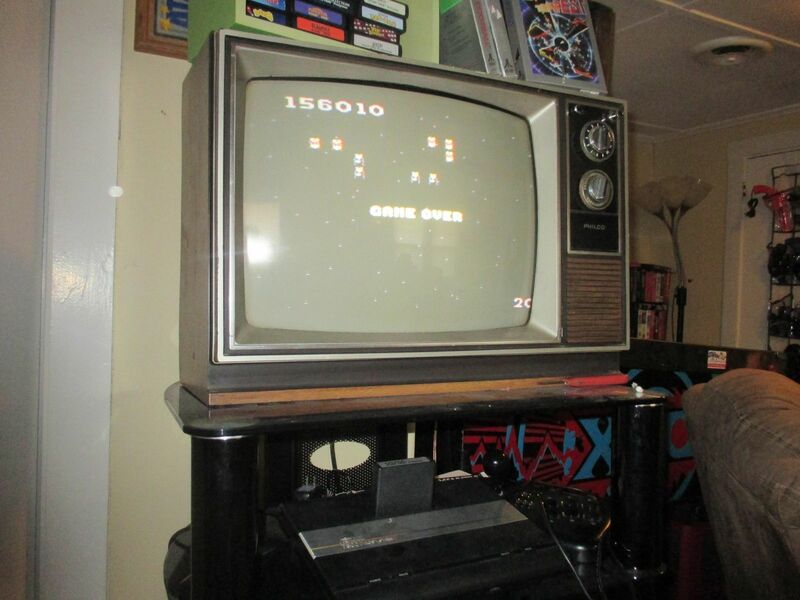 I would love to have one of those High Score Carts!! It would come in handy. I was getting really bummed with all these guys with scores in the 100,000's while I kept tapping out in the 30,000's. Joining you at the bottom of the pack! Glad I'm not alone down here. 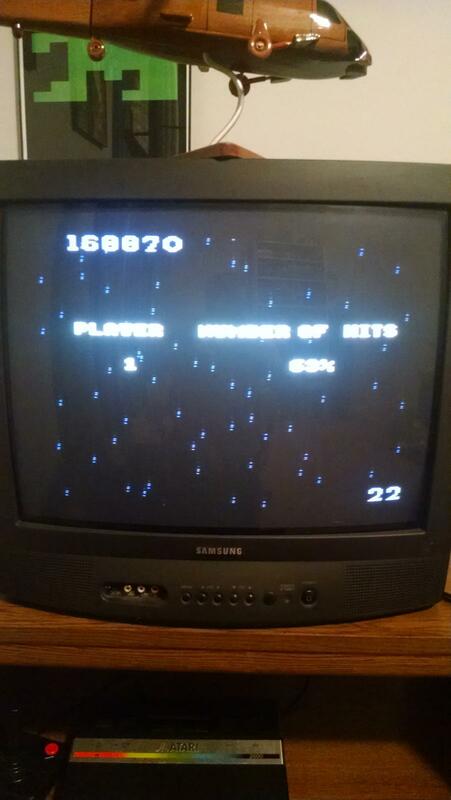 This underwhelming feat accomplished with an epyx controller and a stock 7800. Welcome, brother. It was lonely and embarrassing down here.